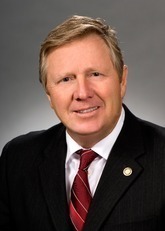 Join us for lunch and hear from the Director of the Ohio Department of Natural Resources, James Zehringer, on Dec. 9 at Malone University's Brehme Centennial Center. As the oil and gas community knows, Zehringer's department is the regulatory body for oil and gas exploration and production in Ohio. He is coming to Canton, the Utica Capital, to talk about the work of his agency and the progress of Utica exploration, and to answer your questions. Hear insights from James Zehringer and enjoy an opportunity for business networking before the end-of-year holidays.